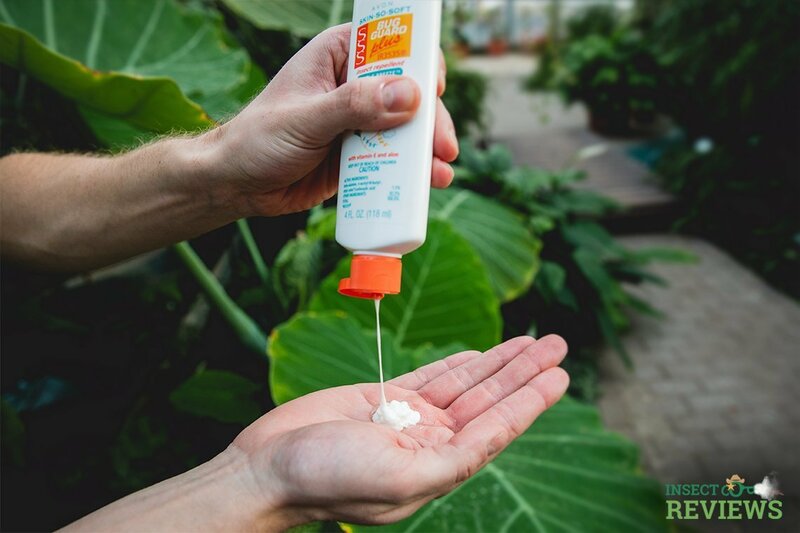 This product is a great option for anyone who’s in need of a bug repellent and sunscreen because of the lotion’s dual function, consistency, and efficiency. We know that trying out a new product comes with a certain degree of uncertainty and skepticism. This is why we purchased this insect repellent lotion with our own money and tested it so that we could provide an independent review that’s free from any biased opinions and preconceived notions. Through our testing, we found that this product is one of the best insect repellent lotions out there. And with this review, we will provide you a comprehensive, in-depth analysis of all aspects of the product so that you can know everything that you need to about it and thus make an informed decision on whether or not Avon Skin-So-Soft Bug Guard Plus IR3535 Gentle Breeze SPF 30 Moisturizing Insect Repellent Lotion is right for you! How does this Avon sunscreen and bug repellent lotion work? How to use this lotion for the best results? 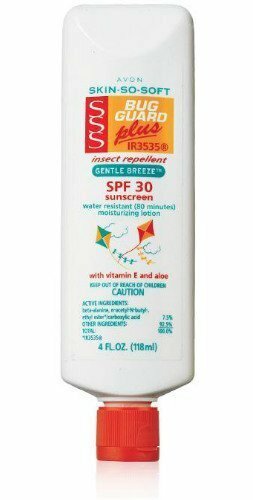 Since the Avon Skin-So-Soft Bug Guard Plus IR3535 Gentle Breeze SPF 30 Moisturizing Insect Repellent Lotion t is both a sunscreen and a bug repellent, it can be used for either purpose! If you’re outside, even on a cloudy day you risk sun damage from UV rays. And particularly in the spring and summer bugs are likely to be out and about as well. This product protects you from both. Avon’s Bug Guard line has been around for many years, and as such has been honed to suit a variety of needs and situations. 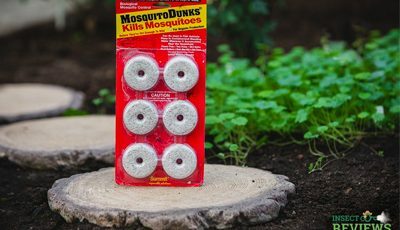 All of the Bug Guard products are DEET-free, contain beneficial, gentle and moisturizing ingredients such as Vitamin E and aloe, and help protect against a variety of insects including mosquitoes, deer flies, midges, ticks, gnats, and others. This particular lotion is suitable for anyone (so long as they’re 6 months of age or older) and works whether you’re hiking in the woods, having an outdoor bonfire, or enjoying a beach day at the lake. It’s water resistant, so swimming and sweating won’t wash it off right away (though, as with any insect repellent or sunscreen, it works best when reapplied every couple of hours). In addition, IR3535 is the active ingredient and is based on natural amino acids, making it gentler than other chemical repellents like DEET while also evaporating off of the skin slower so that it lasts longer on average (up to 8 hours). How cost-effective is the Avon Skin-So-Soft Bug Guard Insect Repellent lotion? As with anything, prices vary. 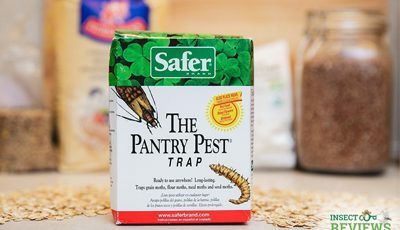 Yet, there aren’t many two-in-one insect repellent and sunscreen combination products out there, so in terms of that particular combination, the price for this product is in line with other similar products. 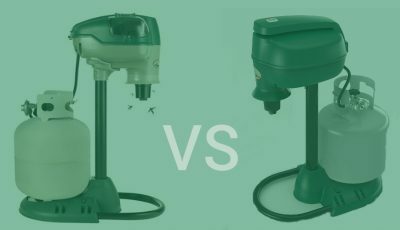 But when compared to other mosquito control options, in general, the price is toward the higher end. However, keep in mind that this product moisturizes, acts as a sunscreen, and repels insects so it makes sense for it to cost more than your standard sunscreen or bug repellent. This product comes in a clean, sturdy white plastic bottle. If you get the “Disappearing Color” version, the bottle is a sky blue color. When delivered, it’s packaged in a box with either (or sometimes both) paper packing or plastic air-filled packing to protect the product both from excessive heat or cold as well as from squishing or otherwise damaging the bottle itself. However, if the bottle is somehow damaged (the lid is broken or the tube is punctured for example) when you receive it or you know it’s been left in a hot or cold environment for longer than a few hours, you should consider the product compromised and inquire about returning the product as it may not work as effectively. Since this bottle is made of synthetic plastic, it is unfortunately not biodegradable, but as with many plastics nowadays it can be recycled so long as it’s rinsed out. The product is made in the USA, meaning that for U.S. residents it’s quicker and easier to obtain with less environmental impact (no overseas shipping). But for those living outside of the U.S. will also be able to purchase the product. It will just take a bit longer for the lotion to be shipped to your location. The bottle itself is 4 ounces, so packaging is modestly sized and easy to ship as well as to store. It’s suitable for home use, but also small enough that it’s a simple matter to pack it into a travel bag, and is also suitable for carry-ons on airplanes (liquid size restrictions are 4 ounces or less, generally). And as for how long the bottle of lotion will last you, with average use one bottle of lotion should last you a while. One customer even said that the 4-ounce bottle lasted her for over a week even though she used twice a day. The active ingredients in this lotion are Octinoxate 7.5%, Oxybenzone 6%, and Octisalate 5%, as well as the IR3535. Other important ingredients are Vitamin E and aloe, which aid in keeping skin healthy, moisturized, and thus further protected from damage from the sun and elements. They also help soothe skin if you are suffering from previous insect bites from prior to using the product. We found the consistency of the lotion to be near perfect – it’s white and fairly thin (but not watery) rather than being a thick cream like many other sunscreens. And as such, it isn’t sticky or too greasy. It also feels light on the skin, soaks in quickly (so you can’t see it after you rub it in, and there’s no residue), and it makes skin feel quite soft. The scent is faintly perfumy and fresh-smelling but isn’t overpowering and the smell mostly fades after a bit and is only noticeable if you put your nose to the skin where it was applied. There’s also no need to wash it off later outside of your normal hygiene routine. And because it’s so light you won’t feel the need to – your skin won’t feel tacky or heavy with the lotion on. How safe is this Bug Guard sunscreen lotion? This lotion contains Octinoxate, Oxybenzone, Octisalate, and IR3535, all of which are synthetic ingredients. These are considered low-risk, gentle ingredients that, while they, of course, should not be consumed, are safe for use as intended on the skin. The lotion is also PABA-free and Deet-free, making it much gentler and safer than many other insect repellent options. The downside is that the active sunscreen ingredients in this lotion (Octinoxate 7.5%, Oxybenzone 6%, and Octisalate 5%) are not considered coral-reef safe, as multiple studies have found that they inhibit coral growth and can kill portions of existing coral if too much of these ingredients get into the water (for example, on a heavily-used beach in which most people are using sunscreen containing these ingredients). One thing you can do is wait at least 30 minutes after applying the lotion before getting into any natural water source, as this allows more time for the ingredients to soak into your skin and protect you from the sun without washing off into the water. IR3535, however, is quite environmentally friendly since it is based on a naturally occurring amino acid, and as such is considered non-toxic to aquatic organisms as well as algae, and has not been found to accumulate in the environment. The repellent is safe for people of all ages but a doctor should be consulted before applying it to children under 6 months of age. Be certain to not apply it to babies’ hands or near their eyes, as babies tend to rub their eyes and stick their hands in their mouths. IR3535 is considered safe for pregnant women, as clinical trials have shown that it’s safe for pregnant women to use a product containing up to 20% IR3535 and this particular repellent only has 7.5%. IR3535’s only real risk is that it can cause eye irritation, so regardless of whether or not you’re pregnant, do keep this away from your eyes. The lotion itself is dermatologist tested and hypoallergenic, so it should not cause any sort of allergic reaction. However, it’s a good idea to test it on a small patch of your skin first just in case. It also contains no soybean oil, peanut oil, or any other nut or grain related ingredient that could lead to an allergic reaction in people allergic to these things. And it’s even gluten-free, though this doesn’t matter anyway as topically applied gluten cannot be absorbed through the skin anyway. As an added bonus, Avon doesn’t conduct any animal testing, so no worries about them being harmed in the making of the product! Speaking of animals, you should not use this lotion on dogs, cats, horses, or any other animal as their body chemistry is quite different from ours and what is alright for us is not necessarily alright for them. HOW DOES THIS AVON SUNSCREEN & BUG REPELLENT LOTION WORK? As mentioned above, the particular ingredient that works to repel a broad range of biting insects is IR3535. IR3535 is a synthetic compound that was created based off of a naturally occurring amino acid, specifically B-alanine, which is known to repel many types of insects, such as mosquitoes, deer ticks, black flies, sand flies, no-see-ums, and biting midges. These insects need to be repelled because some are known to transmit diseases – mosquitoes can transmit Zika Virus, West Nile Virus, Rift Valley Fever, and so on, and deer ticks may transmit Lyme disease, Lone Star Fever, and others. It will not repel fleas, wasps, bees, spiders, bed bugs, or chiggers, because their olfactory and nervous systems are wired differently and so IR3535 hasn’t been found to be effective against them. IR3535 was developed in the 1980s by Merck & Co, a company based in Germany, and has been legal for use in Europe but was not utilized by the U.S. until 1999. It works by simply messing with insects’ sense of smell, making it much more difficult for them to identify and hone in on prey. While DEET and picaridin are strong chemicals that are known for having a variety of harmful side effects as well as adverse environmental impacts, IR3535 is, again, environmentally friendly and because it’s essentially an amino acid, will not harm you unless you get it in your eyes. Oil of lemon eucalyptus is also a natural and eco-friendly insect repelling alternative but does not last as long as IR3535 and consumers report its effectiveness diminishes after only an hour or two of use. The ingredients that provide sun protection are Octinoxate 7.5%, Oxybenzone 6%, and Octisalate 5%. They work by absorbing sunlight before it reaches your skin, via carbon-containing molecules, and they also protect against both UVA and UVB rays, making this lotion a broad spectrum sunscreen. So long as you apply it every couple of hours, particularly if you’re sweating or swimming (it’s no more waterproof than other lotions on the market), it’ll protect quite well against sunburns. If you burn particularly easily, you may want to consider higher SPF lotions, as this one is SPF 30, which works well for most people. What makes this particular lotion better than other sunscreens is that it also contains aloe and Vitamin E, and also helps to protect you from insects, meaning you have to spend less money buying products and have fewer layers of product on your skin (and no weird smells from mixing separate sunscreen and insect repellent products). HOW TO USE THIS LOTION FOR BEST RESULTS? When to apply the Avon Avon Skin-So-Soft Bug Guard Plus Moisturizing Insect Repellent Lotion? As with any sunscreen or insect repellent, this lotion works best when applied at least 15 minutes prior to sun and insect exposure. Since it also contains aloe and Vitamin E, and overall the ingredients are gentle, it can also be used as a daily moisturizer and makes skin feel quite soft and healthy. You shouldn’t experience any side effects unless you’re sensitive to certain ingredients such as the active sunscreen ingredients. Test the lotion on a small patch of your skin and wait an hour or two before you apply it to your entire body. Where can you apply this lotion? This lotion should be applied liberally and evenly over all exposed skin, though, of course, don’t get it into your eyes, mouth, or any other sensitive areas. It’s non-comedogenic, meaning that it won’t cause blocked pores or acne, so it can also be used on the face without issue. If you wish to have extra protection, you can even wear it under clothing since it won’t stain your clothes as long as you wait a few minutes after applying before you get dressed. And do try to avoid applying it to any open wounds, irritated skin, or abrasions as per the label instructions. How to properly apply the Avon sunscreen bug repellent lotion? The lotion should be applied by hand and worked in evenly over all exposed skin. Children under 10 should not apply it themselves and should have an adult do it for them. You should wash your hands afterward to minimize the risk of later touching your eyes and getting the product in your eyes, which isn’t harmful long term but can cause some irritation and stinging. In addition, the label states that this product protects only against sunburn, not skin cancer or early skin aging, so even when wearing this lotion as sunscreen make sure to be cautious of overexposure and all the risks that come with it. How long will the effects of this lotion last? This lotion is water-resistant for 80 minutes and provides both insect protection and sun protection for 2 hours of use or 80 minutes of sweating or swimming. How often do you need to reapply the lotion? As a general rule of thumb, the lotion should be applied at least every 2 hours or sooner if you’re sweating significantly or have been in water to ensure that you’re properly protected from both the sun and insects. You shouldn’t, however, apply it more than 9 times in 24 hours as the active sunscreen ingredients can be considered toxic at a dose higher than that. It’s also not necessary to wash off the repellent after use, as it’s not heavy on your skin and won’t clog your pores. From our and other customers’ experience the first time you open and use the lotion, a small amount of clear oil might come out of the tube when squeezed. Shaking the bottle doesn’t seem to make much difference, so just be aware of this fact and know then the lotion will start coming out after. You also can mix the oil back into the lotion in your hand and use this mixture as your normal sunscreen or bug repellent lotion. After this first use, however, you shouldn’t have any more issue with clear oil coming out unless you go a significant while between using the lotion. As with any sunscreen or insect repellent, this lotion (both unopened and opened) should be stored in a relatively cool environment (below 70° F is best) out of the sun and away from heat or flame, as warming the product up too much could reduce its efficacy. When unopened, the product remains valid and usable for however long is indicated by the expiration date on the bottle, which is generally around 2 to 3 years. When opened, the sunscreen should remain viable at least a year if it’s stored properly. Because this lotion is very gentle not many precautions are needed. Yet if it gets into your eyes you should hold your eye open and rinse slowly and gently for 15 to 20 minutes. Then, contact a poison control center or a doctor to see if any other treatment is needed. If your pet or child accidentally swallows the product, you should also contact a poison control center (or an emergency vet, in the case of your pet) since the lotion does contain synthetic ingredients. The label states that, if empty, the bottle should be thrown away, or ideally, recycled. If there is some lotion left in it, you should contact your local solid waste agency for instructions. The label also strictly says that you should not wash any unused product down the drain, so keep this in mind when it comes time to dispose of your lotion bottle. In addition to using insect repellent, other useful strategies include wearing protective clothing, such as long-sleeved shirts, long socks, long pants, and so on. Light colors are best, as dark colors attract more UV rays, and as such generate more heat and draw in more insects. You can also use mosquito bed nets during the night, as well as wearing a hat with a mosquito net around it. Try to keep yourself as hydrated and cool as possible, as heat draws in insects like mosquitoes, who use extra sensitive thermal sensory information to pinpoint you. And, of course, make sure to reapply your bug repellent lotion every 2 hours so it can keep protecting you from mosquitoes and many other critters that might be bothering you. This Avon lotion is both a broad spectrum sunscreen and an efficient yet eco-friendly bug repellent. Pair that with its lightweight consistency, fresh aroma and the fact that it can be used by the whole family and you got yourself one truly great product. So why not try this multi-use lotion and let it protect you both from the sun rays and pesky biting insects? 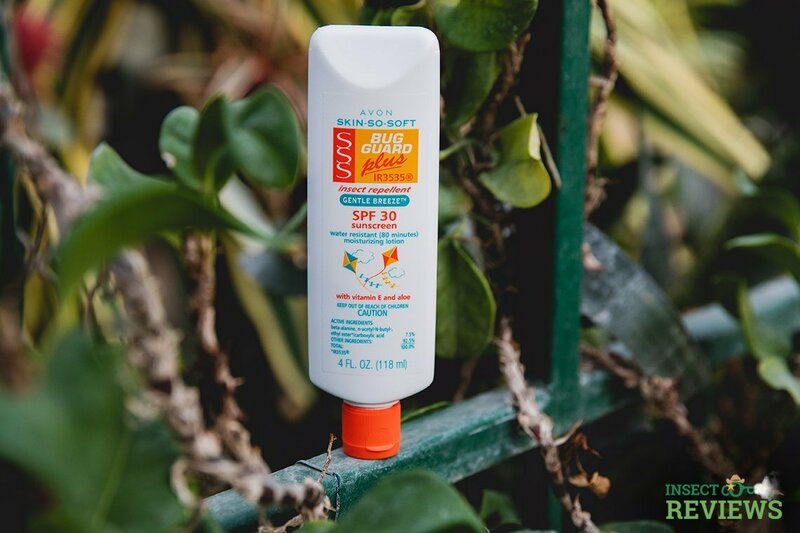 Overall, we’ve found that Avon Skin-So-Soft Bug Guard Plus IR3535 Gentle Breeze SPF 30 Moisturizing Insect Repellent Lotion is one of the best insect repellent and sunscreen combos that we’ve tried. The light and moisturizing DEET-free formula is gentle on the skin as well as more eco-friendly than similar products. And the lotion is also water-resistant for 80 minutes and protects from both sunburns and a wide variety of insects without causing damage to the skin or clothing from harsh chemicals like DEET. Which means that this dual product is not only efficient but also perfect for a variety of different situations and circumstances. What can be better than a multi-use product that lets you be prepared for anything life throws at you? What are the ingredients in Avon Skin-So-Soft Bug Guard Insect Repellent Lotion? The main ingredients in this lotion are Octinoxate, Oxybenzone, Octisalate, and IR3535 as well as Vitamin E and aloe. Where to buy the Avon Skin-So-Soft Bug Guard Insect Repellent Lotion? This lotion can be purchased online on the Avon website as well as other sites such as Amazon. It can also be purchased from an Avon representative or an Avon outlet store. Is the Avon Skin-So-Soft Bug Guard Lotion safe for babies, toddlers and kids? Yes, this lotion is safe for babies, toddlers, and kids. However, you should consult a doctor before using it on babies under 6 months of age. Does the Avon Skin-So-Soft Lotion really repel mosquitoes? Yes, IR3535, the active insect repelling ingredient, repels mosquitoes by disrupting their sense of smell. This is of particular importance during the height of their breeding season in the summer, when their sense of smell is especially strong as they’re seeking mates. Does the Avon Skin-So-Soft Lotion repel ticks, midges, gnats, and no-see-ums? Yes, just like with mosquitoes, IR3535 also disrupts the olfactory senses in ticks, midges, gnats, and no-see-ums as well and reduces their ability to find and bite you. Does the Avon Bug Guard Skin-So-Soft Lotion repel fleas on humans? No, this product does not repel fleas. What are the main differences between the Avon Skin-So-Soft Original Bath Oil and this Avon Skin-So-Soft Bug Guard Plus Moisturizing Insect Repellent Lotion? The Avon Skin-So-Soft Original Bath Oil does not, despite the urban myth, work to repel insects, nor is it a sunscreen. The Bug Guard Plus Moisturizing Insect Repellent Lotion is both a sunscreen and an insect repellent and has been developed specifically for these purposes. The bath oil should only be used to moisturize skin, and not for any protective measures as it will not work for those means.